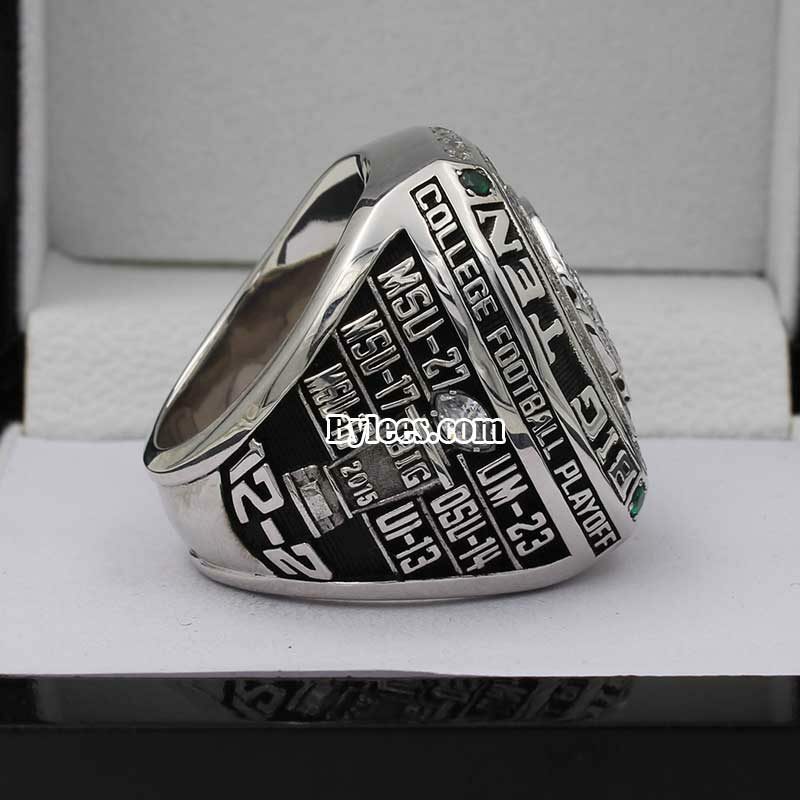 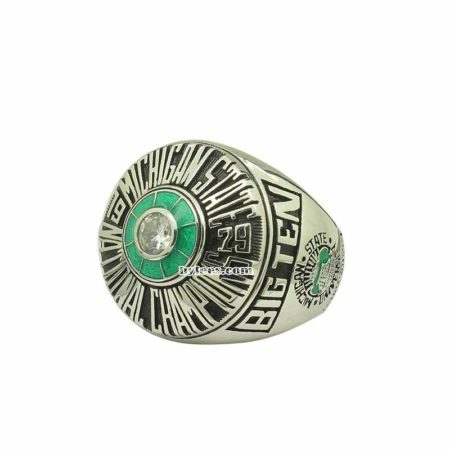 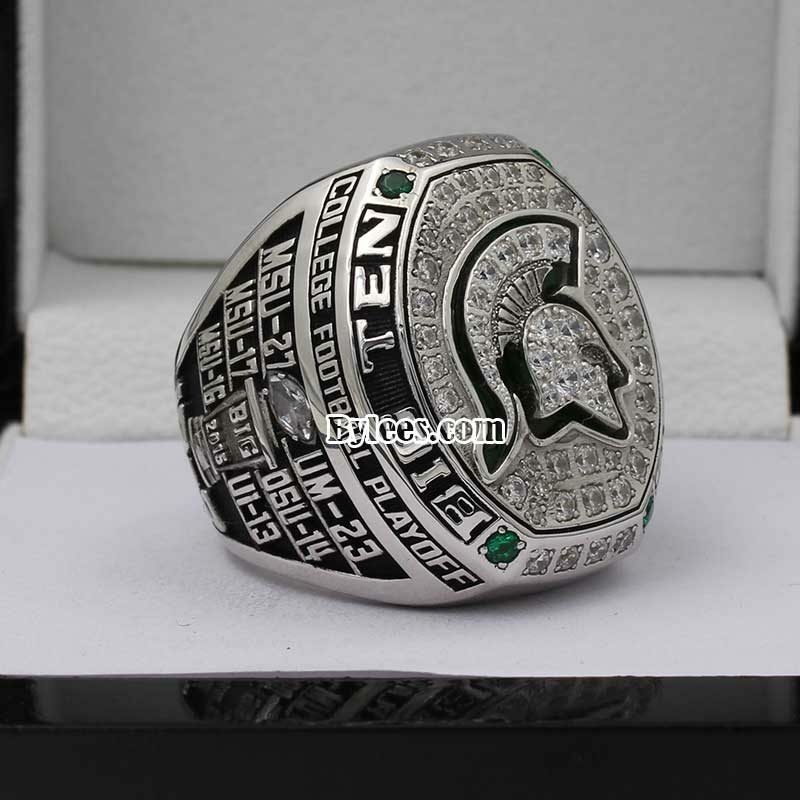 2015 Michigan State Spartans Big Ten Championship Ring commemorated the champion of the 2015 Big Ten Football conference season. 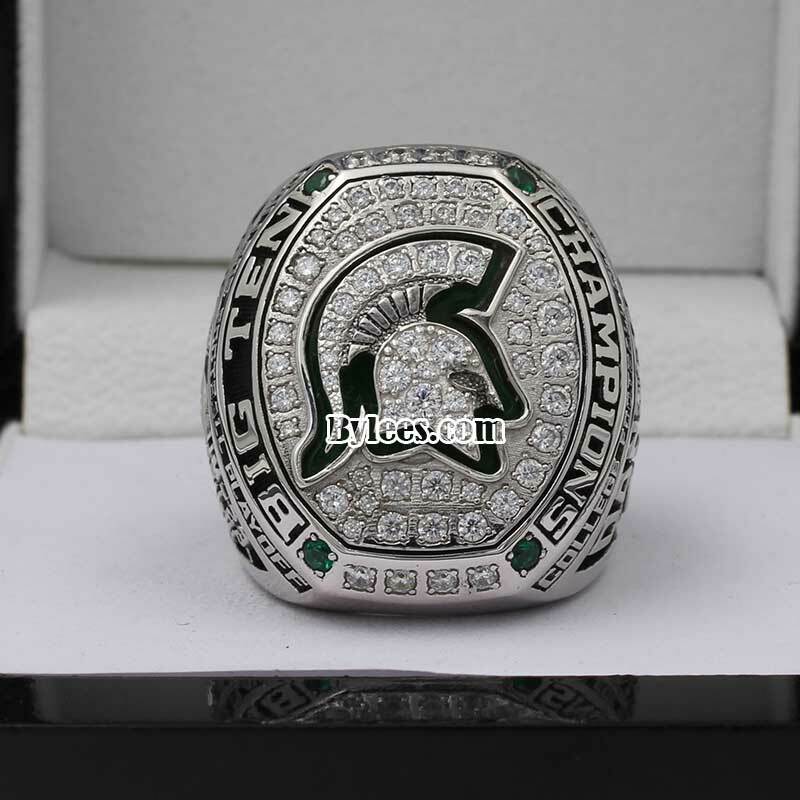 They finished the season 12–2, 7–1 in Big Ten play and represented the East Division in the Big Ten Championship Game where they finally won the 2015 Big Ten championship ring. 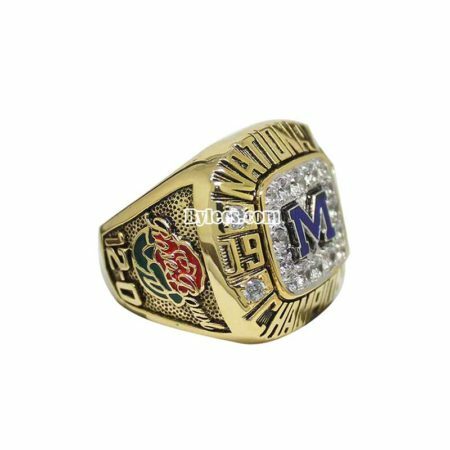 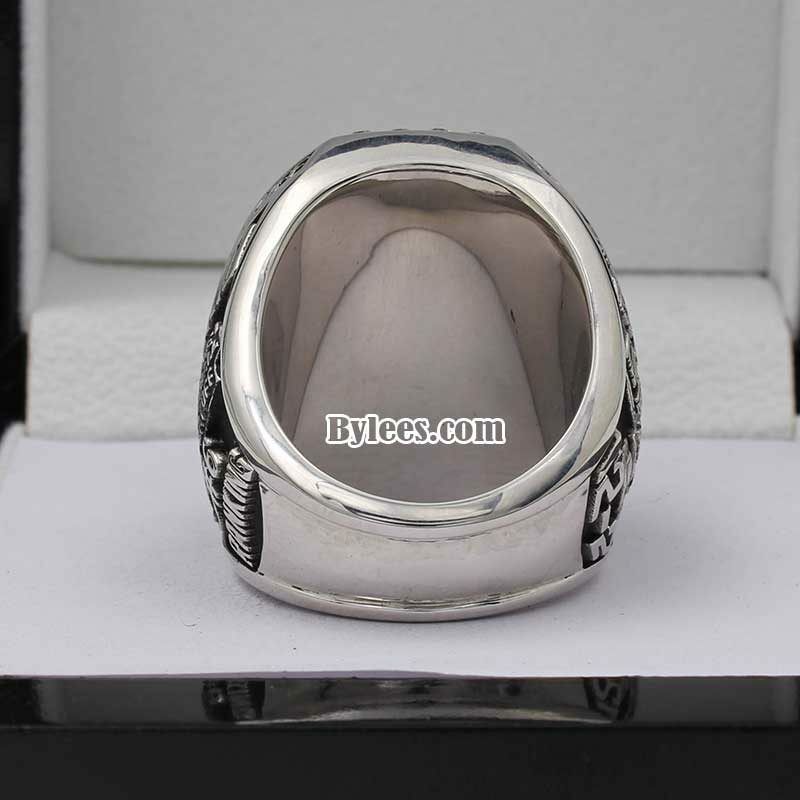 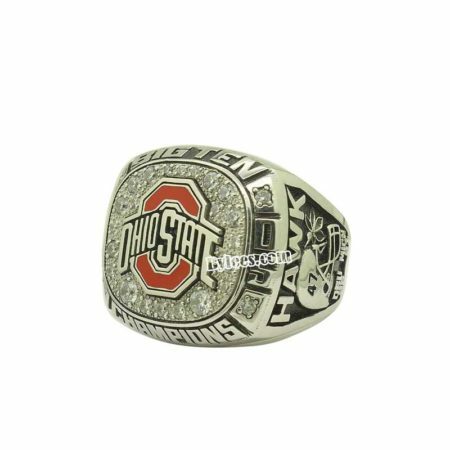 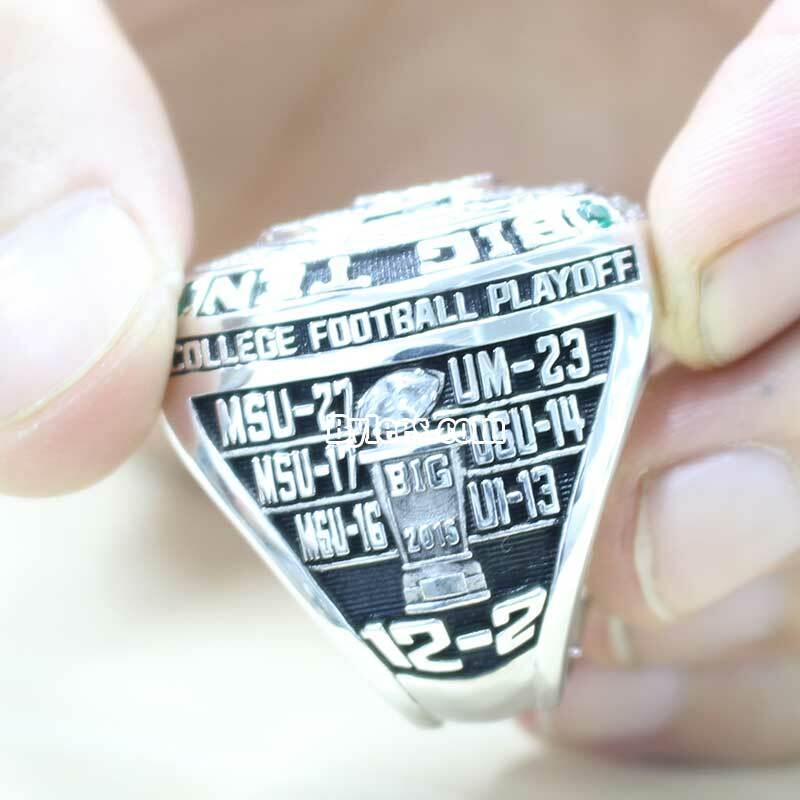 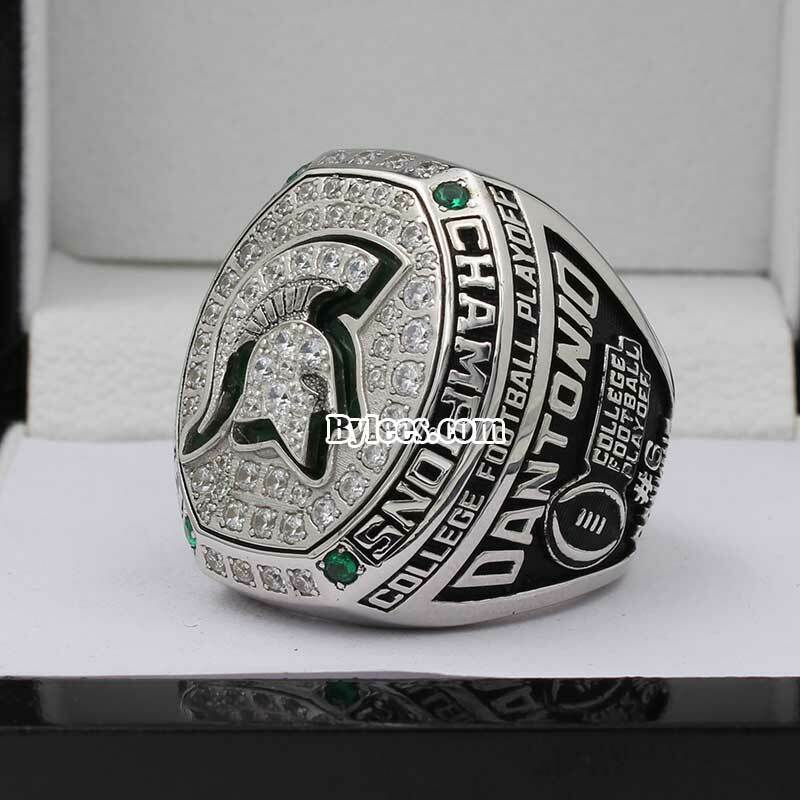 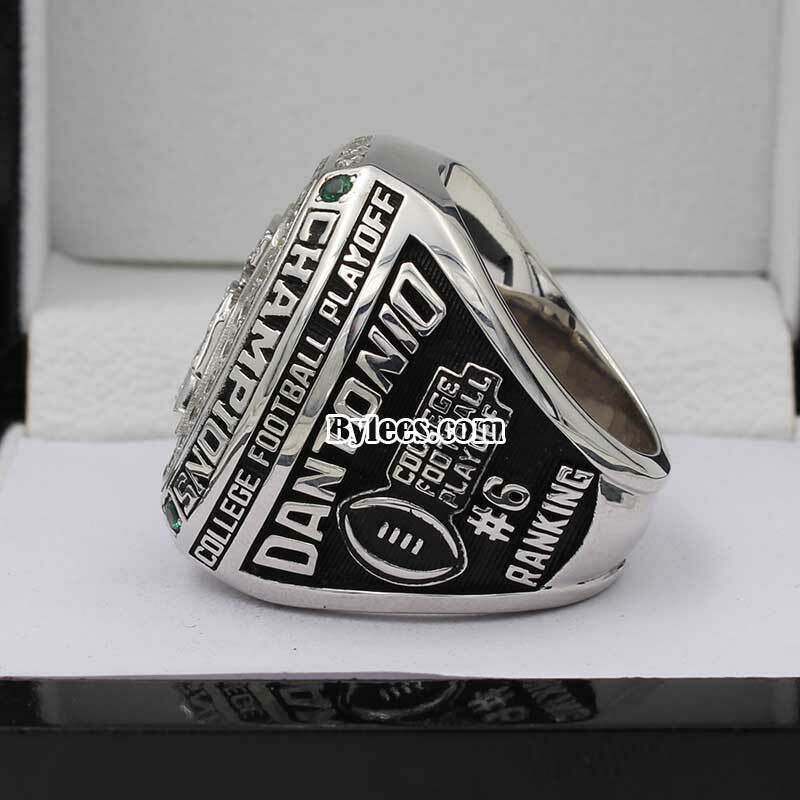 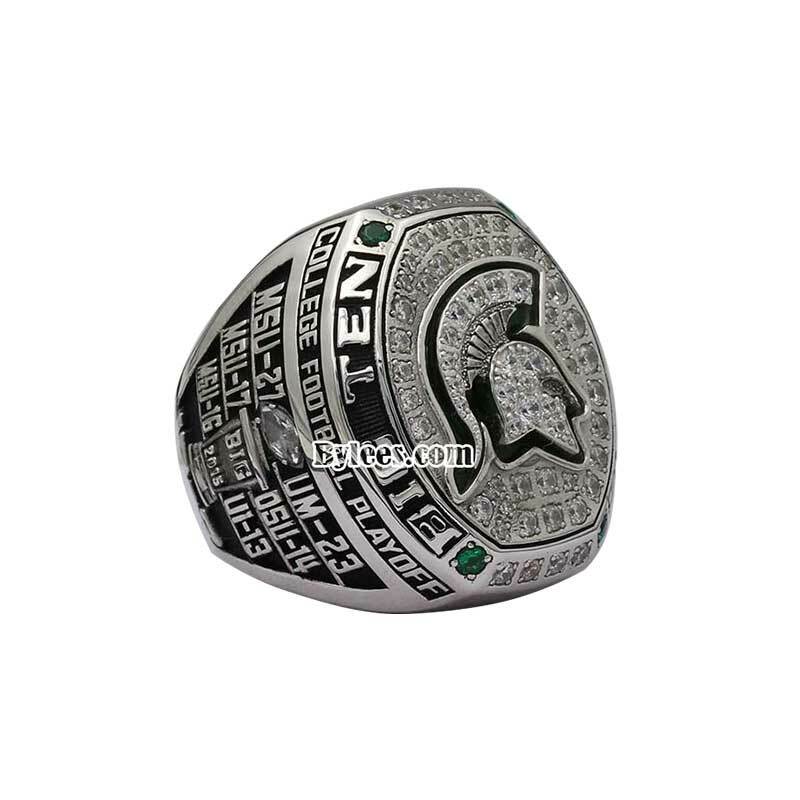 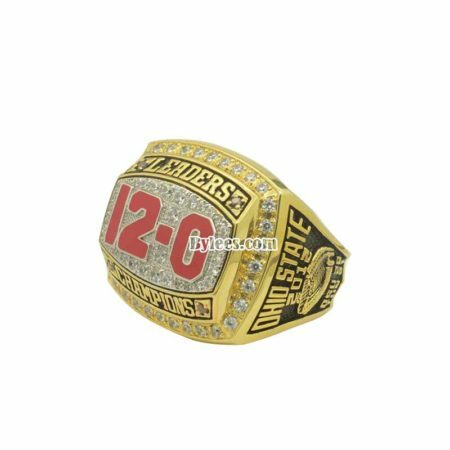 The 2015 MSU Big Ten Championship ring, is so far, the best MSU championship rings in view of design, it was also one of the most successful season in school history, the version here is the Mark Dantonio 2015 MSU football championship ring. 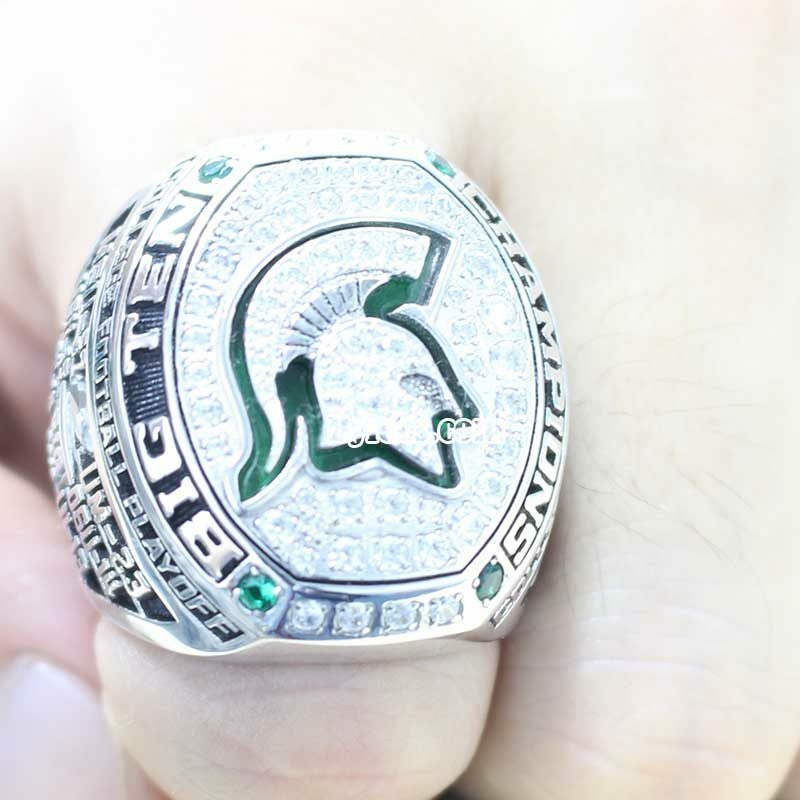 MSU player Connor Cook was the big ten MVP, and players entered NFL draft was Trae Waynes,Jeremy Langford,Tony Lippett, signed as undrafted free agents were: Keith Mumphery,Kurtis Drummond,Marcus Rush,Mylan Hicks,Andrew Gleichert,Taiwan Jones.